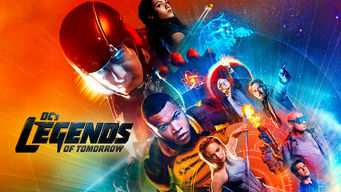 How to watch DC's Legends of Tomorrow: Season 4 (2018) on Netflix Portugal! The availability of DC's Legends of Tomorrow: Season 4 on Portuguese Netflix can be found in our listings below for each season. If the season/episode you want isn't available, you may be able to unlock it right now in Portugal and start watching! Change your Netflix country with a few simple steps and start watching. We'll keep checking Netflix Portugal for DC's Legends of Tomorrow: Season 4, and this page will be updated with any changes. A mysterious "time master" from the future unites an unlikely group of superheroes and villains to save the world from a powerful evil. This ragtag team's got a lot to learn about working together. But one day, they'll be legendary. 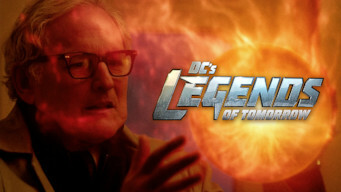 Season 1 of DC's Legends of Tomorrow has 16 episodes. Because different Netflix countries have different availability for episodes, you'll need to check the episode listing below to see which are available in Portugal. Arriving back from the future, rascal Rip Hunter gathers a legendary motley crew to stop an eternal villain from wiping out all of time and history. On a risky mission to undermine Savage, Atom's suit falls into the wrong hands, and Stein must confer with a brilliant man: his younger self. 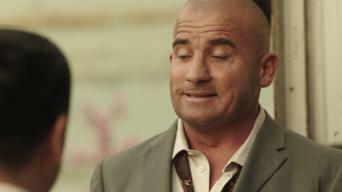 Trouble finds Rip and Sara when they try to seize Savage's financial resources. 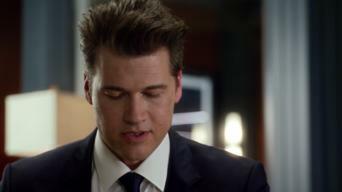 Snart and Rory try to steal a priceless emerald. Stein mentors Ray. The team arrives in 1986 and follows Savage's trail to a Soviet scientist. Rip squares off with a mentor. Kendra struggles to control her new urges. The team gets outside help to infiltrate the gulag. Sara agrees to execute a harsh backup plan if needed. Valentina learns Stein is half of Firestorm. When the Waverider lands in 2046, Rip and the crew get a bleak vision of Star City's future, and Sara searches for the vanished Oliver Queen. When the team receives a distress call from another time master stranded in deep space, Rip decides to respond -- even though it may be a trap. In 1950s Oregon, Professor Stein and Sara go undercover at a hospital where Savage is working, suspecting that he's behind a recent string of murders. 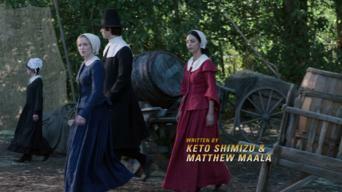 The Waverider leaves Sara, Ray and Kendra behind in the 1950s. When no one comes back for them, Sara decides to return to the League of Assassins. The team must take out one of Savage's future allies, but they're confronted with a moral dilemma when they learn more about him. When Rip and the team head to the Old West to lay low, they end up tangling with a gang of outlaws and putting the town in danger. The Time Masters send the Pilgrim on a mission to assassinate each of the team members, targeting their younger, more vulnerable selves. Rip and the team travel to 2166 London, where Savage is at the height of his power, in what may be their final opportunity to take him down. Savage tells Kendra he can reunite her with Carter, and Rip and the team weigh their options for dealing with him. Being in the vicinity of the Time Masters leaves both Rip and Rory incredibly disturbed. Meanwhile, Sara takes over the Waverider. Rip and the team return to 2016, where they each weigh whether to continue their mission. Sara has an emotional reunion with her father. Season 2 of DC's Legends of Tomorrow has 17 episodes. Because different Netflix countries have different availability for episodes, you'll need to check the episode listing below to see which are available in Portugal. In 1942, the Legends scramble to protect Albert Einstein and thwart a plot by Nazis and Damien Darhk to obliterate New York City with an atomic bomb. Still in 1942, the team does battle with a Nazi berserker to save the Justice Society of America -- including Nate's grandfather -- from disaster. After a mishap sends them to feudal Japan, the team must help Nate control his new superpowers to protect a village against a fierce warlord. With the course of the Civil War in jeopardy, Jax and Amaya travel to a slaveholding plantation while the other Legends battle Confederate zombies. 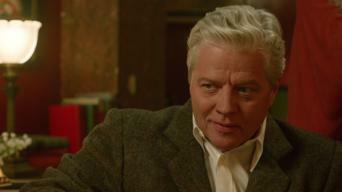 Infiltrating the White House in 1987, the team finds Damien Darhk subverting a treaty with the USSR, and Stein's younger self lands in mortal danger. In the Wild West, the Legends team up with an old ally to fight a gunslinger with plans to use the power of a mysterious ore to rule his own country. Teamed up with Flash and other meta-humans, the Legends travel to 1951 to abduct a Dominator, but unwittingly precipitate a final showdown. When Damien Darhk and a new ally make a pact with Al Capone, the Legends set course for 1920s Chicago, where a sinister plot begins to unfold. After Darhk attacks in 1967, film student George Lucas gives up moviemaking, an Aberration that threatens the existence of the Legends themselves. Strife splinters the Legion of Doom as they track down the Spear of Destiny. Stein breaks the rules of time travel to get his daughter's help. The Legends set course for 1776 to thwart the assassination of George Washington and face a traitorous old friend who's after the Spear of Destiny. Skipping from the 31st century to the 6th in a quest for Spear of Destiny fragments, the Legends team up with an old ally in King Arthur's court. Crashing millions of years in the past, the Legends tangle with dinosaurs while fighting evil versions of themselves inside Rip Hunter's twisted mind. Searching for Commander Steel's Spear of Destiny fragment, the team infiltrates NASA in 1970 and intervenes in the Apollo 13 mission to the moon. To destroy the Spear of Destiny, the team seeks out J.R.R. Tolkien at the front during World War I. But the power of the Spear seduces one their own. As the Legion of Doom lords over Star City, the Legends discover that reality has been rewritten and rally to steal back the Spear of Destiny. Racing an altered-reality wave from 2017, the Legends return to France during World War I to steal the Spear from earlier versions of themselves. Season 3 of DC's Legends of Tomorrow has 18 episodes. Because different Netflix countries have different availability for episodes, you'll need to check the episode listing below to see which are available in Portugal. Rip Hunter forms the Time Bureau to repair the timeline broken by the Legends, who now race to prevent Julius Caesar from conquering the 21st century. The Legends travel to P.T. Barnum's circus in 1870 to hunt down a dangerous time anachronism. Amaya makes a distressing confession to the team. In 2042, a time when metahumans are outlawed, the team tracks a mysterious assassin. Amaya takes a trippy vision quest to understand her totem. Joined by a spirited new team member, the Legends jump to 1988 to capture an anachronistic Dominator and save young Ray from being killed. Rip Hunter recruits the Legends to help him track a vampire in 19th-century London, but they soon encounter an old -- and much more dangerous -- foe. The Legends set course to save Hollywood's Golden Age -- and the future of technology -- after mythical beauty Helen of Troy sparks a Tinseltown war. Mick confronts painful family memories when the Legends travel to 1967 to stop an extraordinary foe from turning the Vietnam War into World War III. Rallying alongside Supergirl, the Flash and their surprising new ally, the Legends face a climactic showdown with the threat from Earth-X. Reeling from a dreadful loss, the Legends travel to a Viking outpost in North America where a strange artifact could change the fate of the New World. Stuck in an asylum in 1969, Sara and Constantine battle the demon Mallus while Zari and Ray fight the fiend in 2017. Meanwhile, Amaya confronts Kuasa. With the Waverider stuck in a time loop, Zari must decipher clues hidden among the crew's personal secrets to save the ship from disaster. In search of Zambesi's powerful earth totem, the Legends swashbuckle their way through 1717 with Blackbeard and his band of lusty buccaneers. Using Ray to smuggle a scientist out of East Berlin, Nora and Damien Darhk square off against an assassin -- a younger version of Darhk himself. When a lost totem usurps Elvis Presley's music, the Legends set the dial to 1950s Memphis to save the King's career and the future of rock 'n' roll. Constantine returns to help the Legends when Mallus leverages the power of the death totem -- through Sara -- to mount an attack aboard the Waverider. 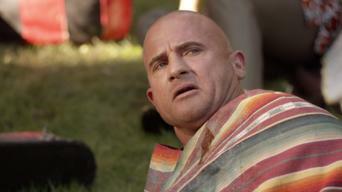 Nate and Wally form a risky alliance to recover Amaya's stolen totem. 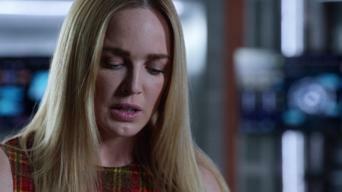 Sara, Ray and Gary uncover an alarming secret about Ava. While Amaya goes rogue to save her village, the team races to protect a young Barack Obama and thwart Mallus -- with a little help from a noted actor. Pirates, Vikings, Romans and the Legends all collide in the Wild West as the team scrambles to use the totems to vanquish Mallus once and for all. Season 4 of DC's Legends of Tomorrow has 15 episodes. Because different Netflix countries have different availability for episodes, you'll need to check the episode listing below to see which are available in Portugal. Encountering a psychedelic magical beast at Woodstock in 1969, the Legends call on John Constantine -- and chaste Gary -- to prevent a massacre. Finding themselves in Salem, Massachusetts, during the infamous witch trials, the Legends come across a magical being with a gift for song. Chasing a magical creature in 1970s London, buttoned-down Ray tries to infiltrate a notorious punk band. 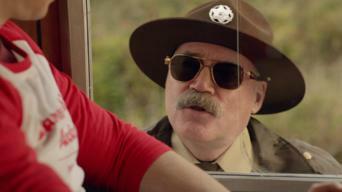 Nate discovers the Time Bureau's wild side. The team lands in a hair-raising campfire story when a monster in the woods starts snatching kids from a summer camp in 1990s Maine. A monster-film director joins the Legends' fight when a nightmare comes to life in Tokyo Bay in 1951. Ray calls in a risky favor to revive Constantine. After a surprise inspection on the Waverider, Hank joins the team in 1920s Paris to hunt down a monster -- with a little help from Ernest Hemingway. There's a murderer on the loose in 1850s New Orleans, and the cops suspect a powerful voodoo priestess. But the real killer is something else entirely. 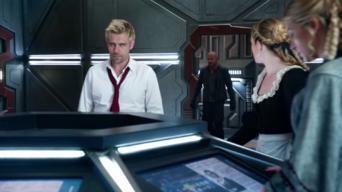 Discovering that his meddling has changed the Legends into trigger-happy killers, Constantine turns to Charlie for help re-altering the timeline. While treachery rocks the Time Bureau, Mona joins the Legends as they track a ferocious escaped creature to the lucha libre rings of 1960s Mexico City. 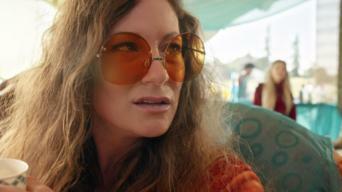 With Hank hot on their trail, the Legends jump to 1973 to kidnap President Nixon after he develops a timeline-threatening honest streak. An outbreak of lust leads the ladies to 1800s England, where Jane Austen has stopped writing about romance. Rory and Constantine summon a spirit.